The importance of your consultation with the surgeon performing your septal perforation repair cannot be stressed enough. This is your opportunity to get answers to all of your questions about the procedure as well as the surgeon’s education, training, surgical methods, board certifications and other information. At the end of the consultation, the surgeon will provide you with a list of steps to take to prepare for your surgery. It is important that you follow these steps closely. Prior to your septal perforation repair consultation you will need to read about the surgeon and the procedure, and prepare a list of questions about factors such as the recovery period, the cost and other factors. Did you complete a residency? In what specialty? How about fellowships or other training? Would I be considered a good candidate for septal repair surgery? Why or why not? How long does the recovery period last following septal repair surgery? How is the procedure performed? What techniques do you use? Where do you perform septal perforation repair? Do you operate in accredited facilities? During your initial consultation with the septal perforation repair surgeon, the surgeon will examine the septum, including the perforation and the nasal structures surrounding it. The surgeon will explain the procedure and discuss factors such as anesthesia, possible outcomes of the surgery as well as any potential complications. The surgeon will also go over postoperative instructions and will listen to any questions and concerns you may have. He or she may take photos as well. There are certain factors the surgeon will analyze during your septal perforation repair consultation, including your medical history and any medications or supplements you are taking. Finding the right surgeon to perform your surgery can be challenging, so it is important to consider and schedule consultations with several surgeons. But what constitutes a qualified surgeon? Start by limiting the surgeons you are considering to those that are board-certified by the American Board of Facial Plastic and Reconstructive Surgery (ABFPRS). By scheduling consultations with a few facial plastic surgeons you will be able to compare and contrast their experience, qualifications, offerings and surgical results. 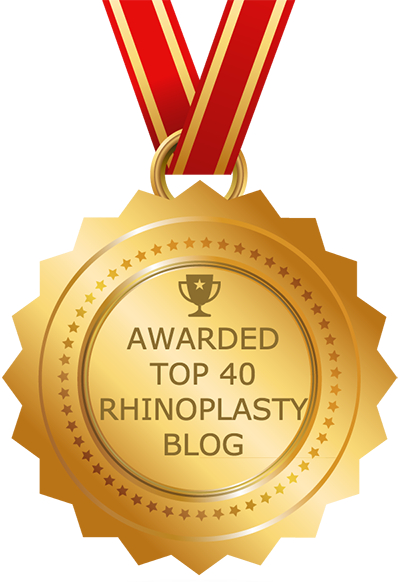 Your surgeon should have advanced knowledge of the internal structures of the nose. He or she should have hospital privileges and should perform septal perforation repair in a state-of-the-art facility with advanced equipment. Your surgeon should perform septal perforation repair and related procedures on an ongoing basis. It goes without saying that your surgeon should have a track record of positive results. It is also important that he or she has experience with complex septal perforation repair cases. After your consultation you should make sure to speak with former patients of the surgeon you are considering. The surgeon should be happy to provide you with the contact information of a few patients who have undergone surgery with him/her and are willing to speak with people like you. Also begin thinking about arranging for someone to help you with simple everyday tasks once you are released to recover at home. The surgeon should provide you with a list of any items you will need to purchase or have handy during your recovery. You can start working on this list as soon as you leave your consultation.